With the rise in popularity of glass pool fencing, it’s important to make sure that people know how to look after and maintain their glass fences. Other forms of pool fencing – such as the metal tubular style – have traditionally been designed to hide dirt and to require little maintenance. Unfortunately, this isn’t the case with glass fencing. Glass shows even the smallest specks of dirt, and will even appear ‘dirty’ if it’s not dried after being wet. It can therefore appear hard to maintain glass fences, but it’s really not if you know what you’re doing. 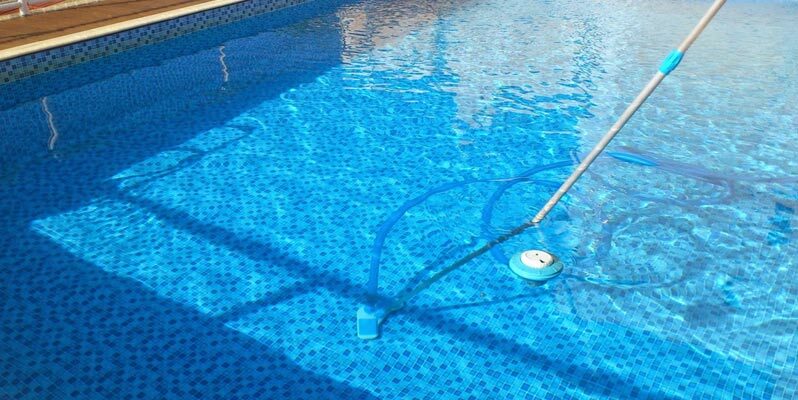 Regular cleaning is one of the most important things when it comes to keeping your glass pool fence in good condition. However, it’s very important to make sure that you clean your fence properly. 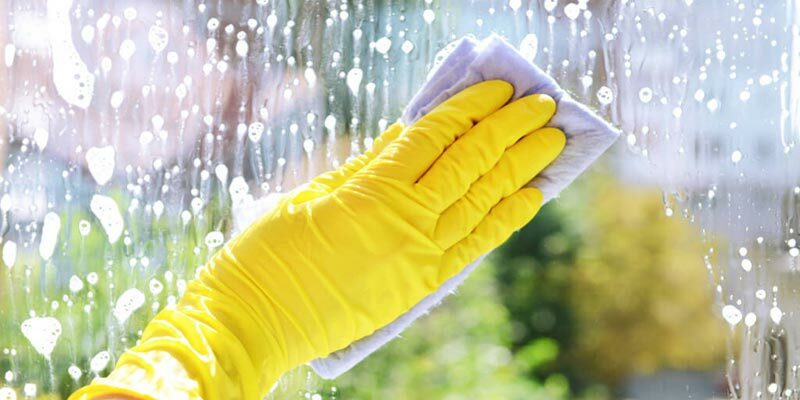 Avoid harsh abrasives and chemicals, and try not to scratch or otherwise damage your glass while you’re cleaning. Depending on where you live in Australia, flooding may or may not be a problem for you. However, if it tends to rain more often than not, you might find you need to get creative with your landscaping options. Failure to take care of flooding and water flow can result in a soggy yard that you use less than you would like. Before you go and buy everything you need for your landscaping task, find out why and how you have a problem with flooding in the first place. Typically, flooding occurs when the earth can’t absorb any more water, with nowhere to drain. It then moves to the lowest point in your property – the place where you need to install drainage. Sometimes, flooding can occur with heavy rain in a short space of time. It falls quicker than your soil can absorb it. Flooding can be a once-off occurrence, or your property could be prone to it. Common signs your property is likely to flood are include a sloping lawn, stains around your home’s cladding, a missing top gutter system, and water pooling on your driveway. When you begin to alter your landscaping, think about where water typically floods and take action. The last thing you want is for it to end up right in the area you’ve just turned into a barbecue nook! Install a spouting system that helps to divert the water away from your house. You may also like to include downspout extenders to draw it away. Does your property flood in the same place all the time? If you can’t fix it, work with it. Create a rain garden in this area. Add flood-proof plants, dig out the turf, install an overflow and berm, and add mulch with native grasses. Before you know it, your previously-flooded lawn is a beautiful rain garden that looks the part. Finding a commercial cleaner to look after your business or commercial building can be difficult. The options are seemingly endless, and it can be tiring reading through a whole lot of different websites to choose the best cleaner. The first thing that you should look for when it comes to choosing the perfect cleaning company for your commercial needs is their qualifications and experience. 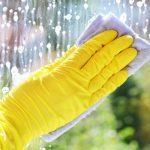 While cleaning isn’t necessarily a job which requires a lot of qualifications, they certainly help, and they can provide proof that the cleaner in question is well equipped to handle your work. Where possible, you should always work with commercial cleaners who have a well established company and who have been in the business for a decent amount of time. Find someone who has qualifications relating to the type of building you have – commercial, residential or industrial – and who has decent cleaning equipment and materials. There’s a saying that states: Make sure you buy a plunger before you need a plunger! While the image that the saying might conjure up is not the nicest, it holds true. The same can be said for plumbers. Get to know a plumber before you really need a plumber. You can do that by contacting a plumbing service to carry out a routine check on your home or investment property. It’s a great way to get to know the people in a service that you may need in the direst emergency. One other bit of advice is to keep a record of any plumber you might use if you are satisfied with their work. As mentioned, with any home system, sooner or later you’ll need the service of the best plumbing company you can find in an emergency or for repair. Since every home in the country has some sort of indoor plumbing, it only makes sense that at one time or another everyone is going to need the services of the best plumbing service they can find. The challenge is finding someone who is trustworthy, skilled and yet affordable to perform the work. 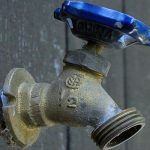 This seems like it should be an easy task but due to the fact that plumbing is one skill which is not learned by attending a class or reading books, there should be some way for average home owners to get decent service. If you are thinking about doing any type of home and garden renovation your list of experts to help you might include an electrician, an architect or a landscape gardener. However, have you thought to include a financial planner on your list? It is likely not, as most people think financial planners are only for sorting out investments and pensions. On the contrary, they can assist with any project which requires financing and home renovation is one of them. There are countless examples of homeowners embarking on a home renovation project, and seeing the whole thing grind to a halt because the project was not planned properly with regards to financing it. The costs might have spiralled out of control, or an expected bill which caused them to reach their credit card limit are just two of the dramas that may have befallen them. 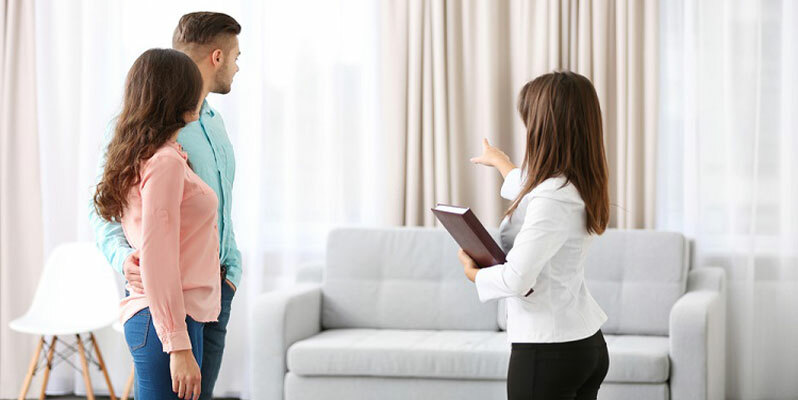 Assuming you don’t want the same to happen to you, the sensible option is to employ the services of a financial planner so that any concerns you may have for your home renovation project are allayed with regards to money and financing. 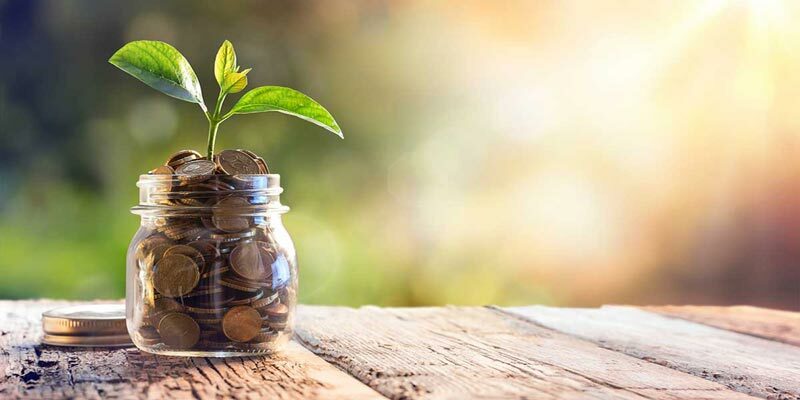 In practical terms, there are several ways a financial planner can assist you when planning any kind of home or garden renovation. Firstly, they can look at your overall financial health, and suggest ways you might be able to improve your financial situation to make the project more affordable. When it comes to office and business safety, fire is a very important consideration. Sure, it’s rare to have a fire in your building, but it is very important to understand that when you do, it isn’t always as simple as grabbing the nearest fire extinguishers and putting it out. These are the fires which we are all familiar with. They are fuelled by oxygen, and generally involve common materials like paper, wood, plastic or fabrics burning. They are easily managed, and can usually be controlled by dousing with water, using an appropriate fire extinguisher or covering with sand or a fire blanket. 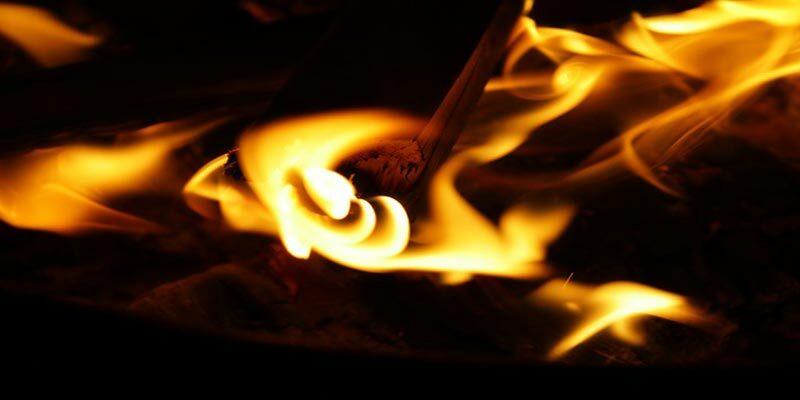 Flammable liquids, such as petrol or oil, behave differently to solids when they burn. Since liquids can flow, it is extremely important to never throw water on a liquid fire. The water will sink below the flammable liquid in most cases, evaporating and causing an explosion. Make sure that you use an appropriate fire extinguisher – such as a dry powder or CO2 one – to minimise the risk of making the fire worse. As a resident of Perth, Australia, you can appreciate the weather as for most of the year it is more than pleasant. The city has heat, and heat waves, but apart from the excessively hot days, people aren’t caged inside like you would be if it was bitterly cold. There are more than 260 sunny days in Perth annually and that makes activities outdoors common for most people. 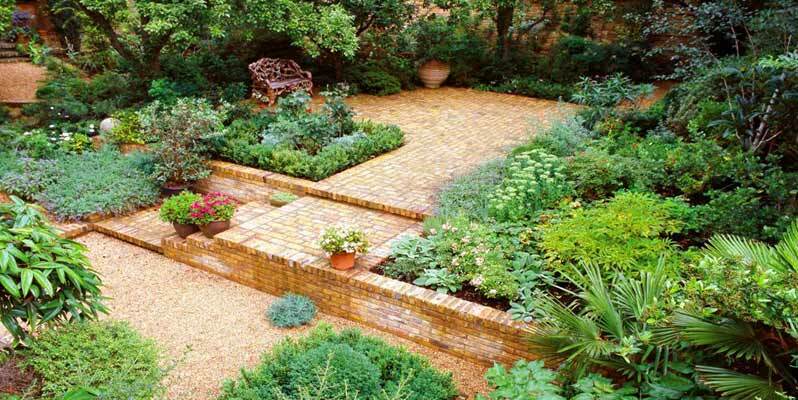 Spending time in your garden that has had the benefit of a nice landscape design can be surprisingly good for you. What is probably not known is that there are benefits to being outdoors that have been scientifically proven. Being outside improves short term memory. A study by a US university found that test subjects got 20% better scores on tests they were given after a short walk through trees and outside in sunshine. Similar studies found that depressed individuals increased their working memory after a short walk outside. Lone Pine Fencing in Sydney advise that getting new fencing is not simply choosing what you want and building it, or having it built. What about the neighbours? If the local council regulations allow the type of fence you want, you probably feel like it’s okay to build it. Unfortunately, while the fence might be in your yard, or more likely on the boundary, the neighbours will be seeing one side of it every day. Like everything else, there is etiquette involved before you get all enthusiastic and start putting up that fence. 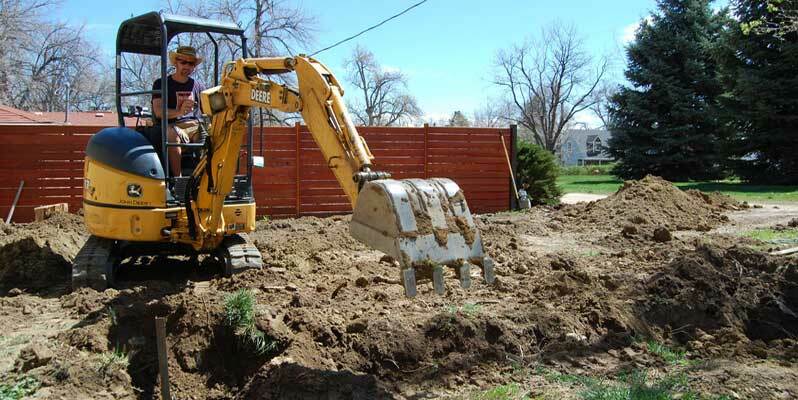 Even if you are replacing an existent fence, you need to have the property line checked again. Your land titles should clearly indicate where everything starts and stops with regard to boundaries, but make sure. Get a surveyor to stake the property again so the fence goes in exactly the right position. Additionally, a surveyor can place stakes along the boundary, giving you a clearer idea of exactly where your fence can go. You cannot erect a fence in this country without having the neighbour agree to the design and cost, particularly as they are usually liable for half the cost anyway. Maybe the neighbour was considering a new fence anyway. It’s just common courtesy to have a nice neighbourly chat about it. The landscape design process is often prepared with a variety of special accents that can make any garden look attractive. A professional team can assist you with getting a quality edge ready around your garden to make it look more distinctive and unique. The kind of edging you chose is important in order to establish the way you want your garden and landscaped area to look and what your lifestyle needs are. It adds an ornamental look to your landscape in general. It also works as a border for the entire space. 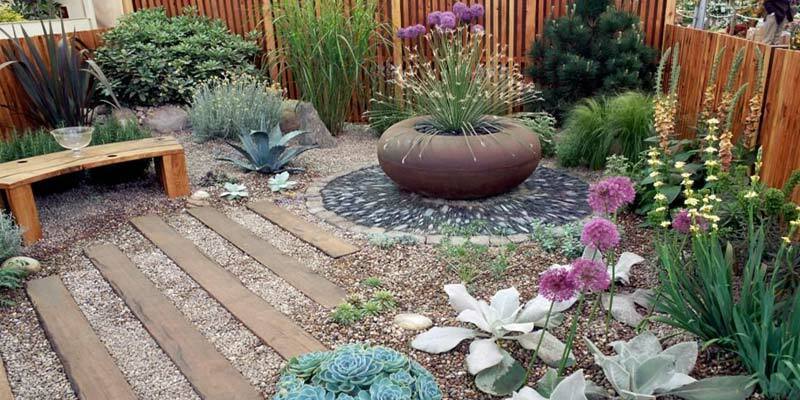 You could even add edges to separate individual spots around your landscape. This is for areas where there are lots of plants that need to be contained in some way to make them more attractive. As you plan to get an edging ready, a landscaper will be able to advise you on the best kinds to suit your garden and give the kind of look you are aiming for. This could include a review of how well the edging is to be made and where it should be placed for the best effect. A proper diagram should be made with professional ideas for what can be done to help you get the most out of whatever you plan on adding to your garden. Healthy living doesn’t usually come naturally because there are many temptations that lead to bad habits and after that, to bad health. While it is fatally easy to get into those bad habits, it seems somewhat harder to establish the good ones, mostly because they are the opposite of what we’ve become used to. 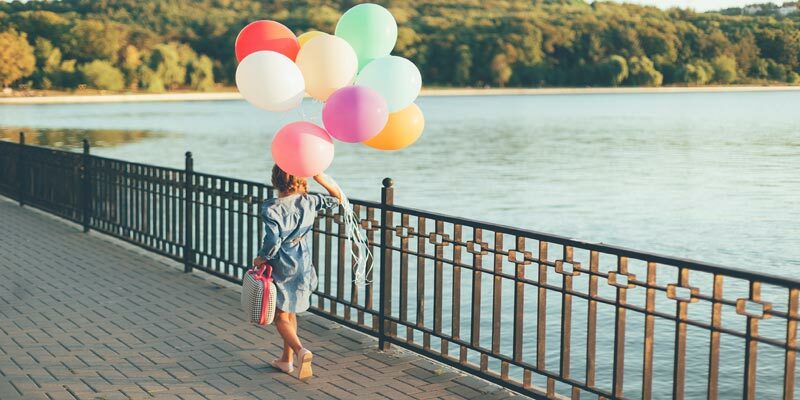 However, if you do a thing for 30 days, experts tell us it becomes a habit, so try following one or more of these simple tips for a month and see what happens. Drink more water. Water helps to flush the toxins out of the body and cleans the kidneys, one of our waste disposal units. Water keeps your body hydrated and helps to carry nutrients and oxygen around our body. It also helps to keep the skin looking young and fresh and helps you to lose weight. What’s not to like about that? Eat a healthy diet including fresh fruit and vegetables. Don’t overcook food as that destroys the nutrients in it. Have raw or lightly steamed vegetables for the most nutrients. Brightly coloured foods generally have a lot of antioxidants to keep you healthier. Have plenty of sleep. If you are constantly tired you become bad-tempered. You’ll also gain weight, since your body craves food to compensate for that tired feeling. 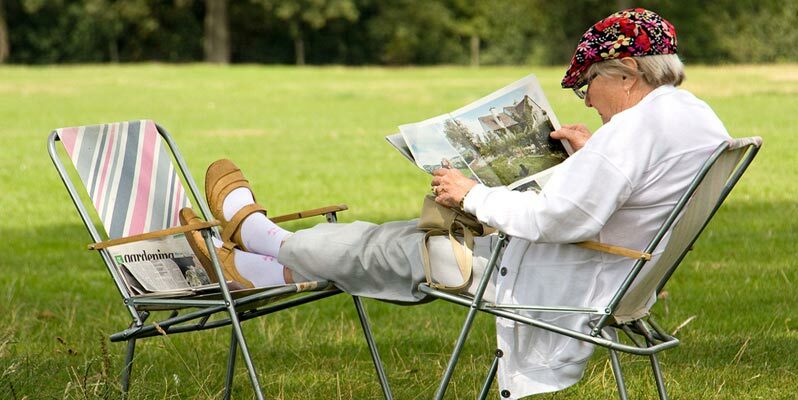 Lack of sleep will make you age more quickly, since when you sleep your body restores itself. Find time to relax and live in the moment. 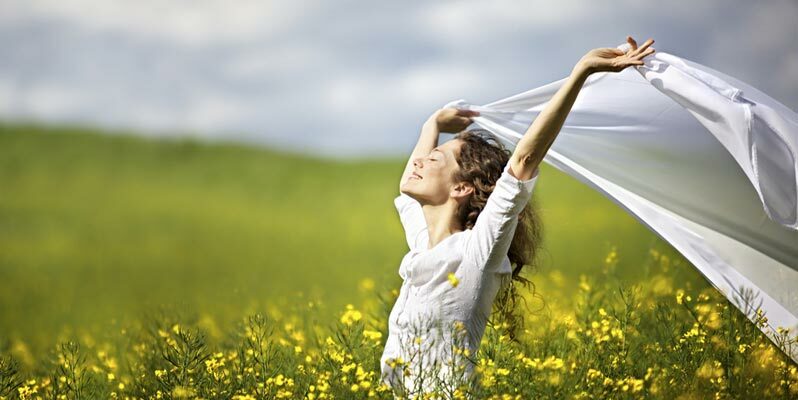 In other words, stop and smell the roses so your stress levels are reduced and you feel calmer. Stress that goes on for too long contributes significantly to many serious diseases. There are many affordable and fun ideas for your home that can enhance your lifestyle or that may have environmentally friendly aspects. Many of them are easy to do and are pleasing to look at, making the home or its surroundings more pleasant in some way. If you are tired of the same old problems or look of your home, consider adding some of these ideas to your life. 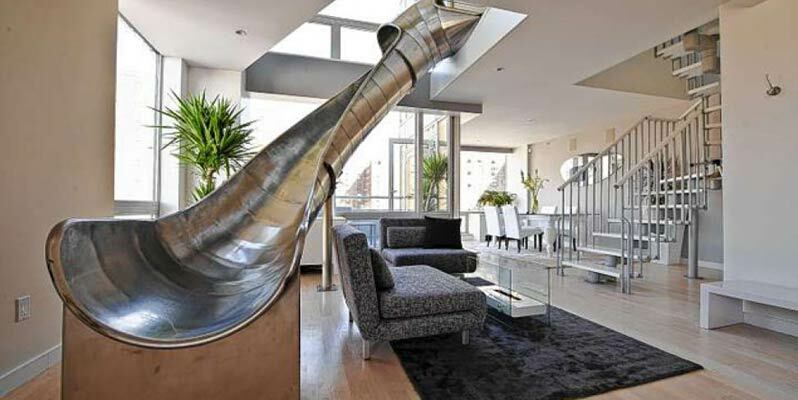 If you have a staircase, add a slim slide next to it for the children to come down. This works well with a spiral staircase. Love cats? Keep them environmentally friendly by adding a cat access transit tunnel around the living room walls to an enclosed space on a balcony or in a nearby tree. One on the outside walls is another good idea to give your cat exercise while keeping it safe. An indoor outdoor pool might be just what is needed for convenience and privacy, otherwise you might consider having your pool built right next to the back deck. But make sure you have a good fence around it if you have children. If you are considering your health this winter it might be a good idea to take a look at your heating system. According to electrical authority Electrician Perth Experts most electricians who are experienced with gas will tell you that even though unvented gas heaters seem to be popular, they produce not only carbon dioxide, (CO2) but carbon monoxide (CO) and nitrogen dioxide (NO2). The health hazards of CO are many and dangerous, since it is considered a toxic gas. Any form of heating that is unvented means that the products produced from burning the fuel remain in the room or the whole house. So if you have a gas heater with no vent, you are at risk of carbon monoxide poisoning, especially if the heater is left on all night and there are few cracks or gaps in the house to let fresh air in and poisons out. Carbon monoxide is colourless, tasteless, non-irritating and odourless so you won’t even know you are being poisoned. In fact, it is said to poison more people than all other poisons put together and most of this can be attributed to unvented gas heaters or even vented ones that burn incorrectly due to any number of things such as rust on the burner or the improper placement of artificial logs. CO causes both brain damage and organ damage. Everything is tested before it is released to the public market; cars and all their components, electronic devices, new or different tools and new building materials. 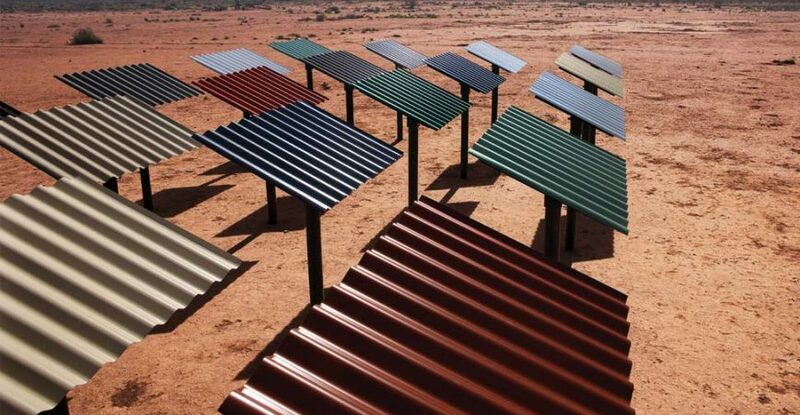 Colorbond roofing steel is tested in a wide variety of conditions all over Australia, from harsh marine environments where salt can corrode, through to urban areas with smog and pollution and on to the stunning heat and dust of the outback. The roofing panels in different colours are put up to simulate a roof in these areas and left there until experts come and test them on sight or take them down for examination in the factory to see what wear and tear – if any – has occurred. In fact, you may be amazed to know that there are 12,000 sheets of steel out there being tested. This gives the Australian public peace of mind to know that the products have withstood the test of time. After all the climate in Australia varies from extremely hot to cold ice and snow, from dusty and dry to cold sleet, hail and teeming thunderstorms as well as the humidity of tropical locations. Having some landscaping done on your property not only adds to the value of it, but also enhances your lifestyle. Everyone loves to be surrounded by beauty, but when that beauty also provides a place where it is convenient and comfortable to relax in you really enjoy being there. And knowing that your property looks amazing is a source of great satisfaction and pride. There are many different kinds of gardens and what you choose will depend on many things. 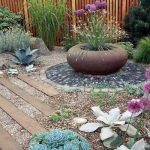 The climate – rain, sunshine, snow, frost, wind and even slope all play a big part in the garden and should be taken into consideration when planning the design. The size of your property is another important element. If you have a tiny courtyard, you’ll need a different kind of design than if your property is on a rural block, or even has a larger backyard. Your lifestyle needs must also be taken into consideration. If you have children or pets, leaving space for them to play and run is necessary. 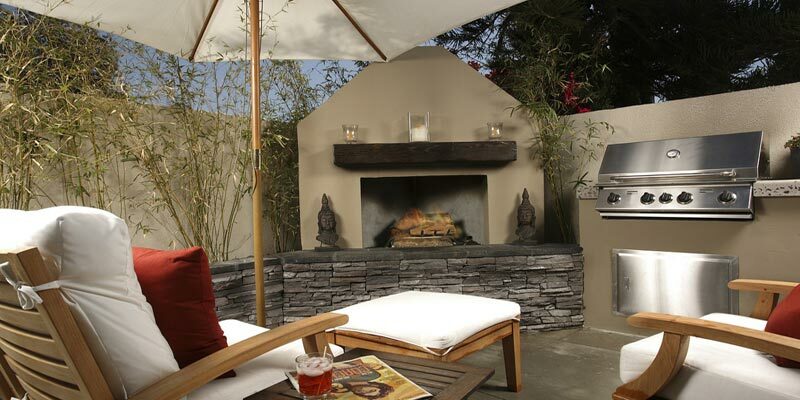 If you love to dine outdoors, you’ll want to create a haven with outdoor furniture. The value of most homes and the lifestyle of the residents is increased by the addition of a beautiful garden. However, these days it is important to implement sustainability practices, so the garden helps to reduce the carbon footprint of the house rather than increasing it. Gardens and lawns look lovely and enhance your lifestyle, but are notorious for using up lots of water. They also need fertiliser and pesticides to ensure your plants are not eaten up by pesky insects. Both fertiliser and pesticides tend to get washed into the waterways and in many cases kill things they were not meant to harm. A case in point is the beautiful corals that die due to fertilisers being washed into the ocean. But by using sustainable methods, such harm can be eliminated. Here’s how. It is easy to minimise the amount of water needed by choosing drought hardy plants for the garden. This will reduce your water costs and save time spent in watering the garden. Using organic mulch will help prevent the soil from drying out, again reducing the amount of water needed. It also keeps the ground cooler in the hot summer, a fact that many plants love. Choosing the kind of lawn grass that is drought hardy is also important because most lawns need lots of water to keep them green. Do your research to find what grass is suitable for your area that does not need constant watering. 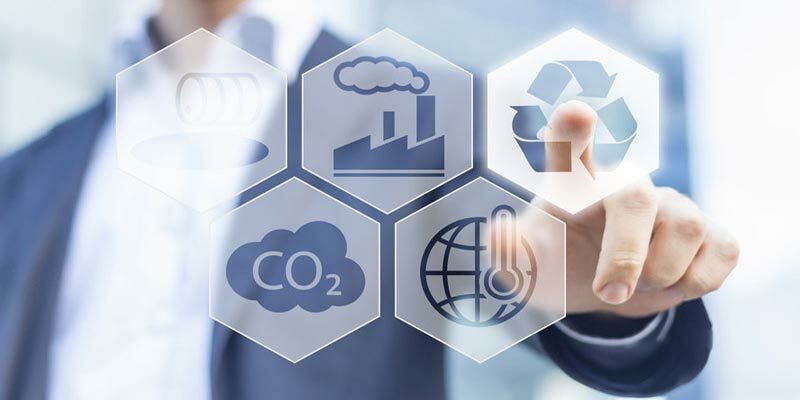 Many city based businesses such as a web design or SEO company or a digital marketing company are using the fact that they follow sustainability guidelines in their offices as a marketing angle in the hope of attracting like minded clients. In fact, they are successful at this in most cases, since people now realise the importance of doing their small bit to help save the earth’s resources by reducing their carbon footprint. 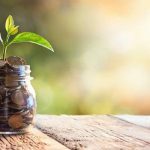 Such practices don’t even take much effort and many actually save you money, so it’s worthwhile to find out what you can do and implementing some, if not all the strategies. For instance, if your small office needs a new printer, you might consider getting one that will do more than one job. Or you might want to look at the specifications to see whether there is a toner or ink saver mode. There are fewer resources being used to replace products and accessories. Another way to save is simply to make sure you choose a printer – or other product – that is suitable for your output. If you choose a cheap printer that is slow to print one page, the power used in printing is excessive when you need to have at least 20 pages printed in a day. But if your printer’s output is 20 pages per minute, the device is only working for one minute – unless you want more pages than that. 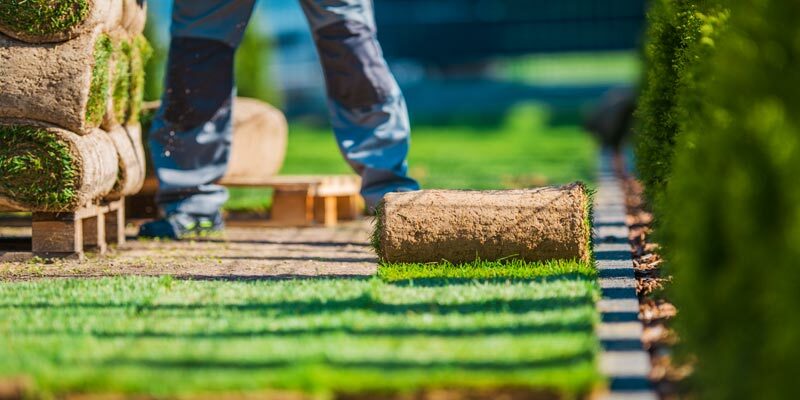 Whether you have a job landscaping, work your own business or do it for a hobby on your own property, landscaping is often sheer hard work, so it is important to take care at all times in order to avoid injury. Even if you are fit and love your job, it is still possible to injure yourself if you don’t be careful. Learn the proper way to lift heavy weights. When doing the kind of work involved with gardening or landscaping, you’ll often have to lift things that are not only heavy, but awkward and have no handles. It’s important to use lifting equipment wherever possible, but if you do have to lift by hand you should bend your knees, not your back. And never lift and swing around at the same time. That’s a sure recipe for a bad back that can put you off work for weeks. Use safety equipment such as goggles, gloves and proper boots. Your eyes are important, but a flying rock or nail can ruin your eyesight for good, while dust and grit can make them sore. Gloves may feel awkward, but they can prevent blisters and scratches that can fester and turn septic. They can also prevent spider bites. The same goes for boots. Working out in the heat and sun can dehydrate you. There might be a nice breeze so you don’t feel like you are sweating, but you are. Drinking water at regular intervals will keep you hydrated. If it’s mid-summer, choose a drink that contains electrolytes to prevent cramps. Organise your work so the hardest jobs are not done in the midday heat. 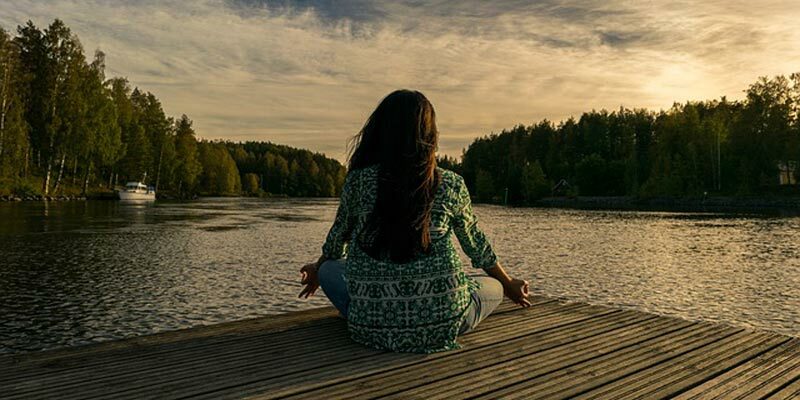 When it comes to healthy living, our mental health is just as important as our physical health. If you are negative all the time you won’t be happy and eventually, you won’t be physically healthy either. Being negative often leads to depression or stress and it affects our capacity to enjoy life and have happy relationships. So here are some tips to remove negativity from your life. Refuse to have negative people in your life. These are people who tend to criticise you all the time, put you down or even are always complaining about things in their own life that they don’t like. It also includes backstabbers who lie about you to others or speak about you in a way that is slanderous or unfair. These people are not your friends and don’t deserve your time or effort. Get rid of your own negative thoughts. Many people suffer from thinking bad thoughts about themselves. Don’t let yourself think things that put you down or belittle yourself, your body, your actions or the things you do any longer. Every day when you wake up, look in the mirror and say 5 good things about yourself. Do the same thing throughout the day. If you are one of the lucky people to have a backyard, you might want to incorporate some kind of great garden design that will encourage native birds to your area. In this way you’ll be doing your bit for the environment, since birds are a part of that. And as more land is cleared our feathered friends tend to lose their homes and have less natural environment from which to gather food. Here are some tips to help you get native birds to your garden. Find out what birds are native to your area and which ones you’d like to have for visitors. Then provide the kind of food they like. They’ll soon find it. Install a bird bath. 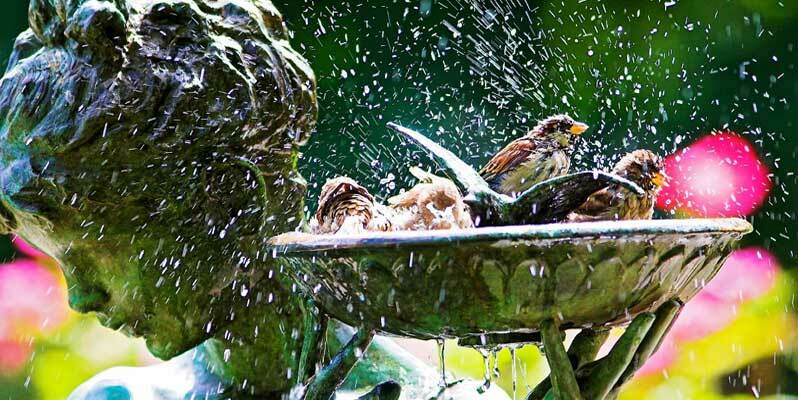 All birds need water to drink and to bathe in to restore their hydration and make their feathers clean. Birds in the centre of town can’t access water on a hot, dry day, but if they know there is some in the suburbs, that is where they’ll go. 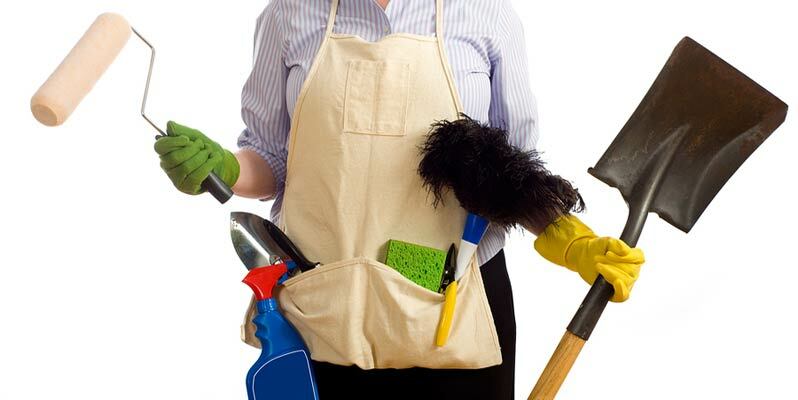 When people start to get older they realise that it is more difficult to do all the chores around the home and garden that are needed to keep it in good condition. Often the garden and lawn are the first casualties because it takes a lot of physical effort to provide the maintenance and upkeep they need. But rather than move out of a home you love, why not get some landscape construction going to make the garden and surrounds easier to cope with? Here are some ways to stay in your home. Instead of having all that lawn to mow, water and fertilise, get a construction company in to replace it with a deck. You’ll be able to sit out there and enjoy the sun without having to mow anything. Remove even more lawn and replace it with a low maintenance garden. When you plan on a kitchen renovation, you may not be thinking along the lines of a sustainable lifestyle, but there are plenty of ways to be eco friendly and save the earth’s resources when renovating. Even if you simply order carefully so you are not wasting any timber, that is going to save some of our precious resources from being wasted. However, with some small amount of thought, you can easily find many other ways. 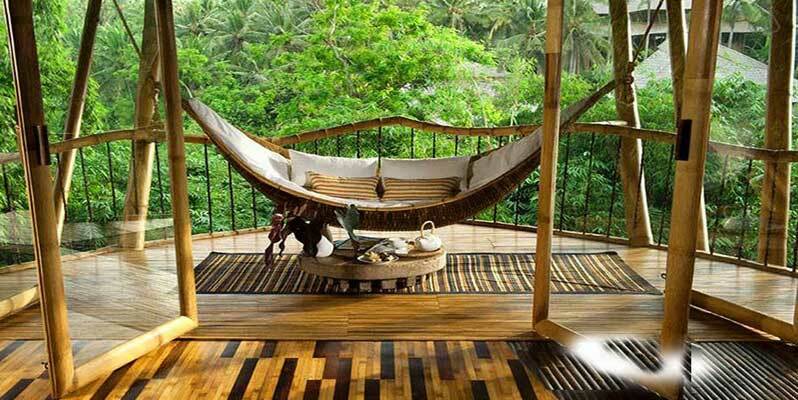 Choose building materials such as bamboo that are easily renewable or are in plentiful supply. It can be used for cabinets and floors as well. Use paints and other things such as glue and lacquer that does not contains harmful toxic gases that waft up into the air – and into your lungs. Choose eco friendly fabrics – natural cotton or at least cotton blends, bamboo fabrics or even fabric made from wool, all of which is renewable in its raw state each year. Choosing your builder or cabinet maker to renovate your kitchen is exciting, but it can also be overwhelming as there are so many decisions to make. There are many different kinds of kitchens and the style you choose will dictate to a certain extent how many other decisions must be made. 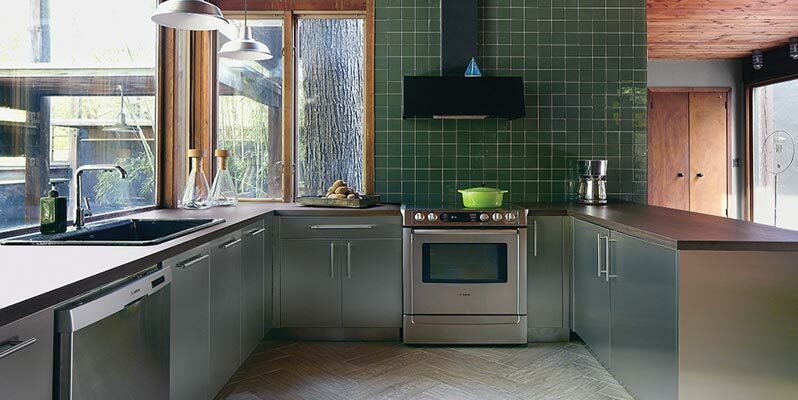 A modern kitchen design requires fewer materials, so not as many decisions will be needed. That said, there are still choices to be made about what you want in materials, appliances, colours, textures and so on, so here is a kitchen renovation timeline to help know which to consider first. Step 1: Choose the appliances, lighting and sink/s. 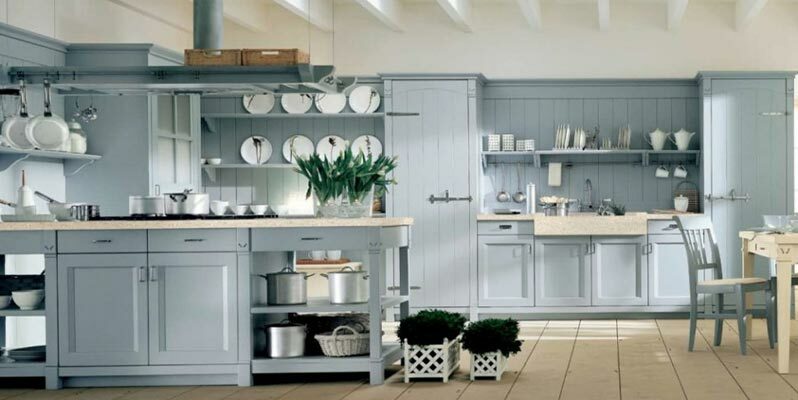 This will help when it comes to planning the design and development of the layout as your professional kitchen designer will need to know what space is left over for cupboards, how big the bench space is and where these things will fit. 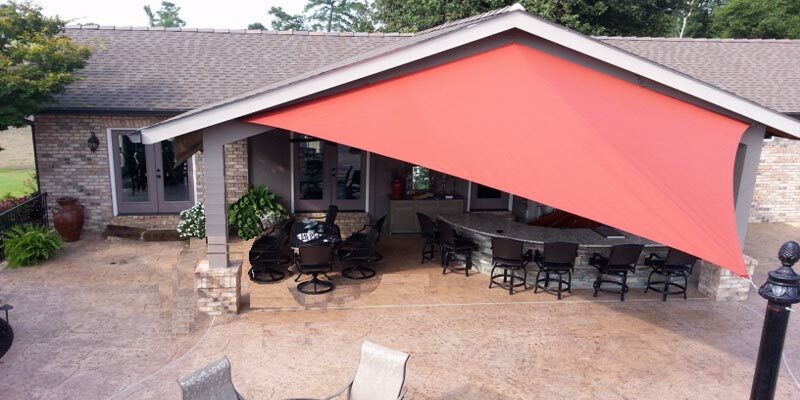 It is easy to get carried away and eager to get the job done once you have made the decision to install a patio or carport on your property, but there are several things you need to consider before you even order it. Not thinking about what you really need beforehand can mean you end up with a carport that does not really suit your needs. 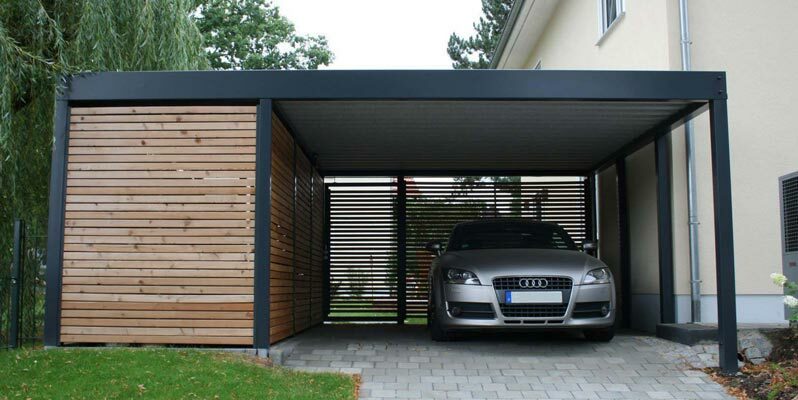 Even though getting a carport may seem like a simple thing to do, consider these 6 elements first. Will it be wide enough? Cars are all different sizes and shapes so you need to be sure that your car will fit in the carport properly with enough room to open the doors on both sides at the same time. Otherwise there is soon going to be a door that is dented or scratched. Do you have one car or two? Many people have two cars, so getting a carport meant for one car is not going to suit your needs. If you only have one car now, might the family end up with two cars in a few years, when the children are old enough to need a car for uni or work? Thinking ahead to your future needs can save on costs. Is it high enough? Some people may have a truck or van, a caravan or a boat that could be stored in the carport – so long as it is high enough and wide enough. Since you are going to the trouble of installing one at all, it may as well be one that can store multiple vehicles if you have them. Keeping that caravan or boat under cover will extend its life, after all. Is your ground level? Sometimes this is the last thing people think about. Even a slight slope can cause problems if you don’t build up the lower side. Carports are designed to go on level ground, so you will need to either level the ground somehow, or build it up with cement blocks. Or you might find concreting the whole area is a better solution. If you have a home or a flat for an investment, you will know the importance of keeping it rented out, especially if you use the income from it to pay it off. If your investment property is empty for just a few weeks it can become a struggle to meet the repayments. Even if the property is fully paid for already, you still want the income to be available on a regular basis. Air conditioning is one addition that can help you achieve this. There are very few climates where the weather is perfect all the time. Sometimes its way too hot; other times of the year it is really cold. Even in temperate climates this is the case. Traditionally, many homes have some kind of heating built into them, but if they don’t it’s easy to purchase heaters of various kinds. Funnily enough, it’s not so easy to get the air cooled as it is to get it heated. Yes, there are fans and these do a good job as long as it’s not too hot. But when the mercury soars, a fan just blows hot air around. 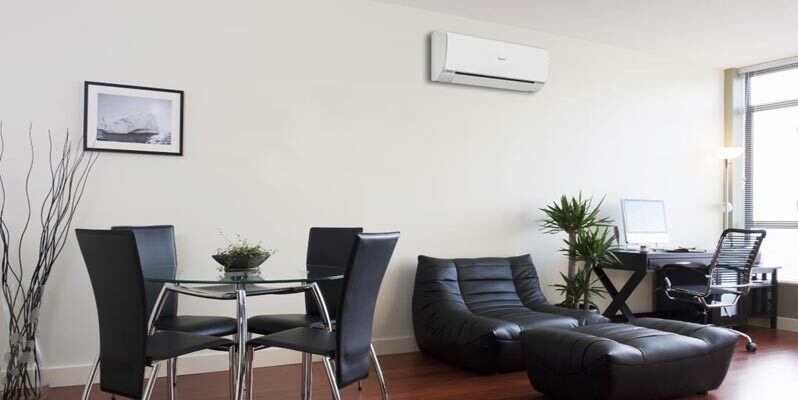 You can have the kind of plug in air conditioner that can be wheeled from room to room. It works by having water added to the top so a fan blows through it and comes out cooler. A bit, anyway. These units are very heavy to move even though they have wheels. And they are extremely noisy, so they’ve never really taken off. Plus, they are expensive to purchase considering they are not very efficient. Once you start to plan a full property renovation it won’t be long before you see the need for plant hire or equipment hire. Most renovators find such equipment far too expensive to buy outright, especially when it won’t be in use all the time. It would never pay for itself by sitting in a shed waiting for the next project to pop up. If your block of ground is on a slope, it is highly likely that you will need to level off at least some of the ground before you can complete the renovation, especially if you intend to add another room or deck. You might even want to have a veranda going right around the house. If you are also going to do some landscaping to go with your new renovations, get that work done at the same time you hire the machinery for the other work. It just takes a bit of planning ahead to save money. Hire rates are usually by the hour or the day, so if your building project only takes a couple of hours with the machinery, you may as well use it while it’s there to level off the driveway, fill up a hole, dig a hole for the swimming pool or do whatever else you have planned for the future. 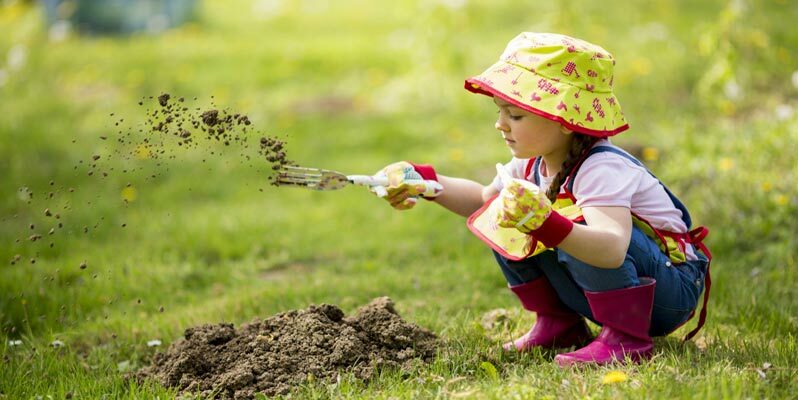 While landscaping can be considered a healthy job because you get lots of exercise and fresh air, there are also health risks that you need to be aware of in order to take preventative measure or eliminate them altogether. Some of these can cause injury, while others can actually make you sick, rather than injured. Concreting is often a big part of landscaping if the client wants pathways, driveway or a concrete floor put in for an alfresco area. They may want a wall built or steps to the back deck. In many cases you can get a mini concrete truck in with enough mixed cement to do the job. But sometimes it is a small job that requires a concrete mixer and shovel. There are two main things involved that can affect your health. Lifting bags of cement that are very heavy and breathing in the dust from it. The latter can be particularly bad because the dust is very fine, yet it’s heavy, just like the concrete. It can get into your lungs and cause a condition called silicosis or lung cancer. Apart from that it can irritate the eyes, upper respiratory tract and the skin. 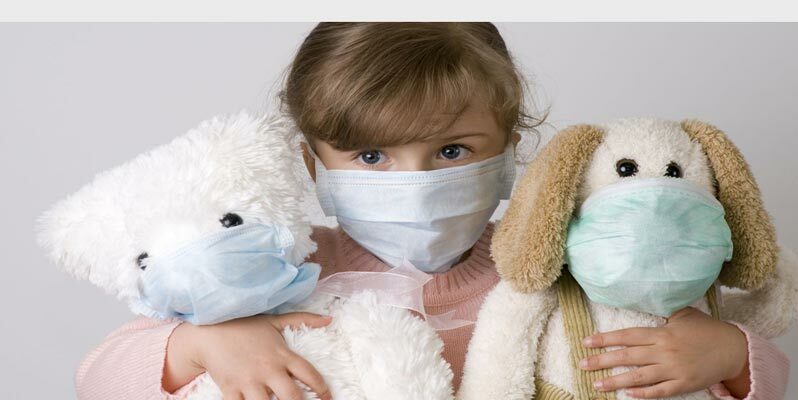 Protect yourself with mask, goggles, gloves and long-sleeves. Many people live a lifestyle that is basically wasteful and so it is not sustainable. Waste in the form of anything you use in life that is discarded into landfill and in some cases causes pollution of some kind should be avoided if at all possible. Many things can be sold or given to a charity rather than being thrown in the bin. Other things can be mended, repainted and generally make to look like new so they can be re-used. Here are 13 sustainability tips to make your lifestyle more eco-friendly. As children outgrow their toys, put them away for the next child to grow into, or sell them, give them away or swap them for something else. The latter is particularly good for computer games. Have a garage sale for unwanted goods rather than throwing them away. One man’s trash is another’s treasure. Donate goods to a charity or op-shop when you don’t want them. Sell unused clothing online. This is very useful for children’s clothing as they can grow out of it so quickly it is still in good condition. You don’t always need an interior designer to tell you that something is wrong with the design of a room. Sometimes it can just feel off, even if you are not sure why. It’s a good idea to stop and take a look at everything to pinpoint the problem. Here are some tips to ensure your own decorating doesn’t make your rooms feel just not quite right. Ensure the furniture is positioned properly. 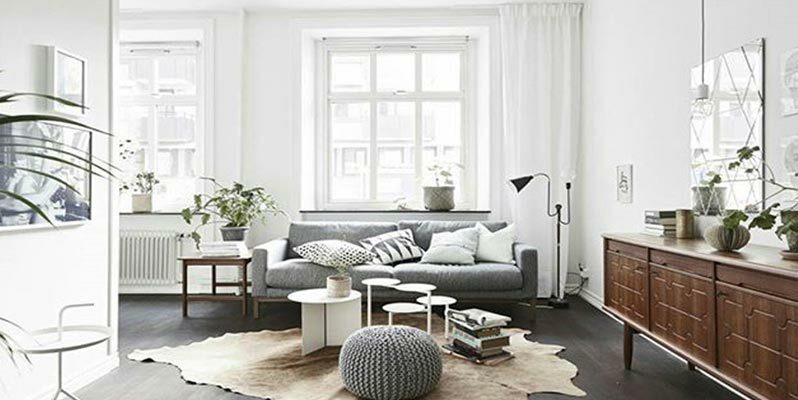 When you first move into an apartment, the furniture is pushed hurriedly into place before the room is set up with all the other elements. You may have simply worked those other things in around the first positioning of the sofa, when really, it should be somewhere else. Ask yourself where to focal point of the room is. Maybe there is a fireplace that is crying out to be the focal point, while all the furniture is pointed at the television set, on another wall. The room could be bottom heavy if there are too many element low down. This will make it feel unpleasant. To fix this feel, the design elements should be lifted up higher than they are at present. Wall art should be hung higher; if lights dangle down low, have them replaced with shorter ones; remove some things from the floor if it is overcrowded. You may even need to repaint the walls a lighter colour. Just because a home is affordable doesn’t mean it has to be cheap and nasty. Glass shower screens add a touch of elegance to any bathroom, no matter if the home is in the billion dollar range or much less. In fact, there is more to them than their good looks. Here are some advantages of installing a shower screen made of glass. It is less likely to develop mould on the surface, so is easy to clean. 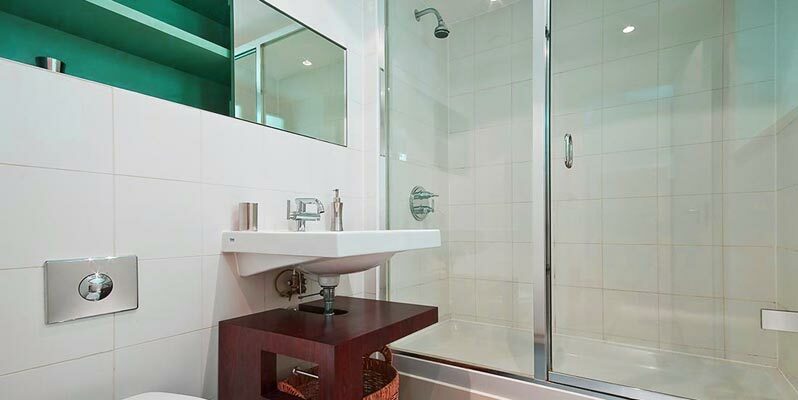 Glass in the bathroom makes it look larger as it is transparent so the draws the eye beyond it to the far walls. When you own property there will always be maintenance to do on it, whether it is cleaning up the grounds outside or painting the building. 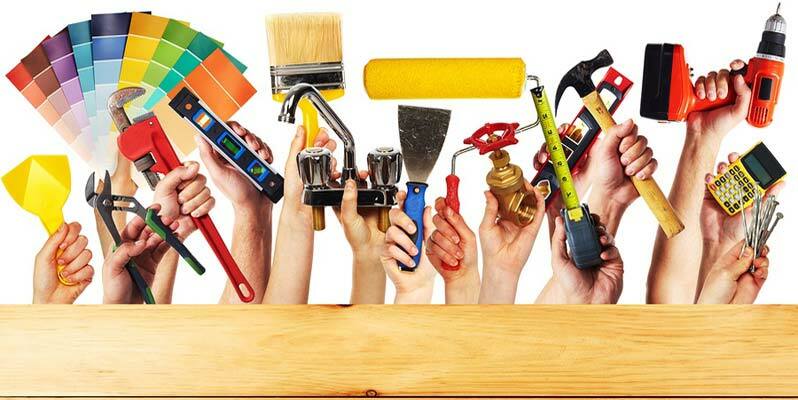 Most people want their property to look neat and tidy without it costing them a bomb, so here are some property maintenance tips that will actually save money over the long run. Fix it while it’s small. No matter what it is; a leak, paint chipped off or some mould somewhere, if you tackle it immediately it won’t cost lot to fix. But if you leave it, the end result could cost thousands. 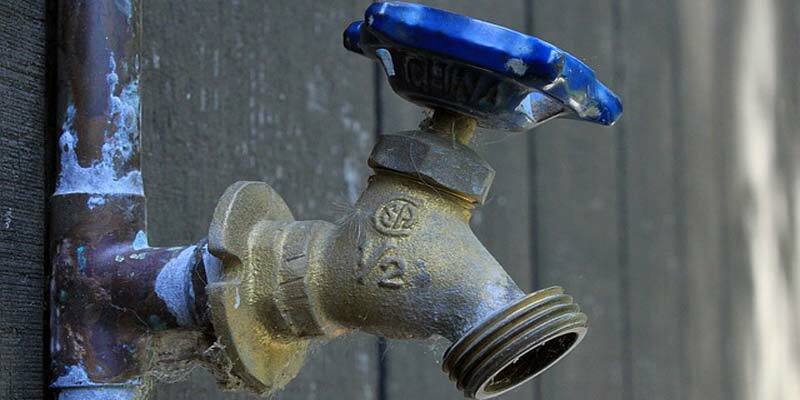 Check for water leaks frequently. Get them fixed as soon as possible. Check that roof tiles are not loose. If they are they’ll likely blow off in the next storm and allow a deluge into your ceiling. Many people have chosen to install swimming pools in their backyards to add enjoyment and fun to those long, hot summer days. Nearly every child enjoys a dip in the pool and some become water babies, spending every spare moment possible playing and swimming in their pool. It’s a great way to ensure your children get plenty of exercise and forget their electronic devices for a little while. The downside is that it takes quite a lot of work to keep the pool clean and ensure the water is hygienic enough to swim in. Here are some tips to make the job easier. Since leaves and debris should be removed daily, this job can be delegated to the children, or an older child who is responsible enough to do it properly. It teaches them that work must be done by everyone if fun is to be had. 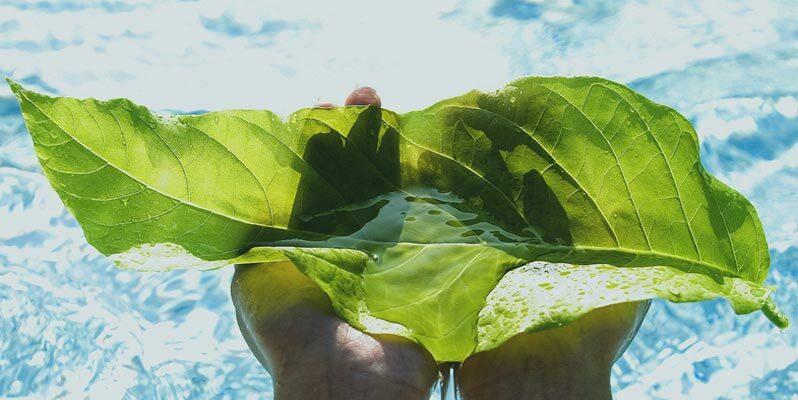 Encourage all children to remove a floating leaf while they are swimming or playing in the pool. If some debris sinks, have diving competitions to see who can get the most debris from the bottom. A prize or two will make it more fun. Save up for an automatic pool cleaner. There are many that are reasonably priced and some clean the sides as well as the bottom of the pool. Use it regularly and sure you take care of your pool cleaner. If yours doesn’t clean the sides, keep a good lookout for algae and attack it immediately. Watch for shady areas where it is most likely to start. Scrubbing the sides every second week should prevent it. 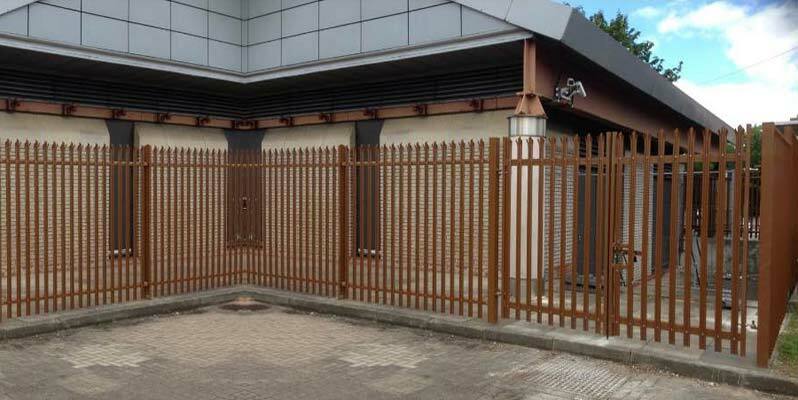 According to Eline Fencing Perth, most homeowners have some kind of fencing around the perimeter of their homes, but it is not always security fencing. But increasingly these days, you need to know that your family and home are safe from burglary or home invasion and the only way to do that is to install the kind of fence that will keep intruders out. Not all so-called safety fencing is going to do what it is supposed to. Here are 4 tips to choosing the right kind of fence. Make sure the fence doesn’t provide a hiding place. Fences you can’t see through will provide a place for any burglar to hide so they cannot be seen from the house. This is the kind of fence that burglars like best, since if you don’t know they are there they can work out how to get over the fence and you won’t know anything about it. They may even be able to spy on your house through a crack – or the gate – and find out if anyone is home or not. Many people have pot plants they love, but often they don’t make as much of them as they could. 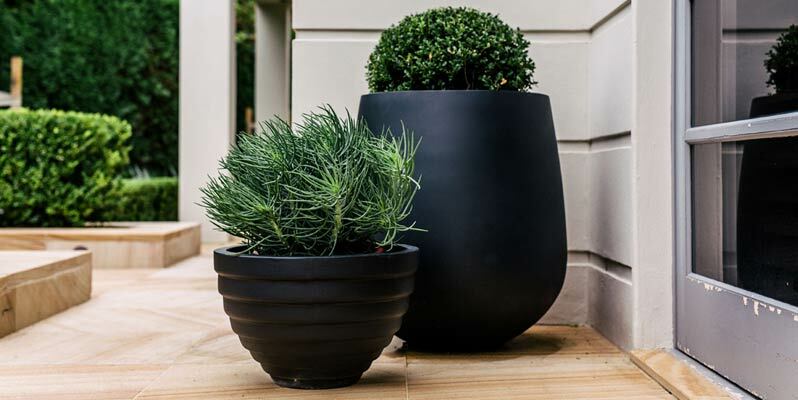 For instance, you often see garden pots made of black plastic holding a beautiful shrub or flower and the effect is actually quite ruined by that awful looking pot. Or even if the pot is nice, it is not placed in a way that gives it the best advantage visually. Here are some of the many ways in which pots can enhance your garden design. A large pot can be used as a feature in the middle of a small garden or garden section. It can have a very dramatic effect on the landscape by using a pot with a bright colour that forms a contrast to everything else surrounding it. 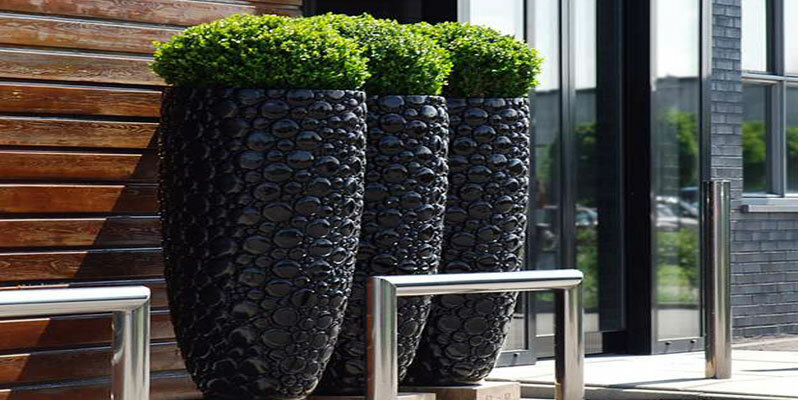 You can have a row of decorative pots –and plants – on a hard surface such as gravel or concrete. This can be seen in some low maintenance gardens as the pots form the major point of visual attractiveness. Pots with small fruit trees also add appeal to the garden or a small courtyard area and they can also bear fruit to enjoy fresh or make jam from. The fruit adds colour in its season, while the pot looks attractive all year round. In combination with another feature. 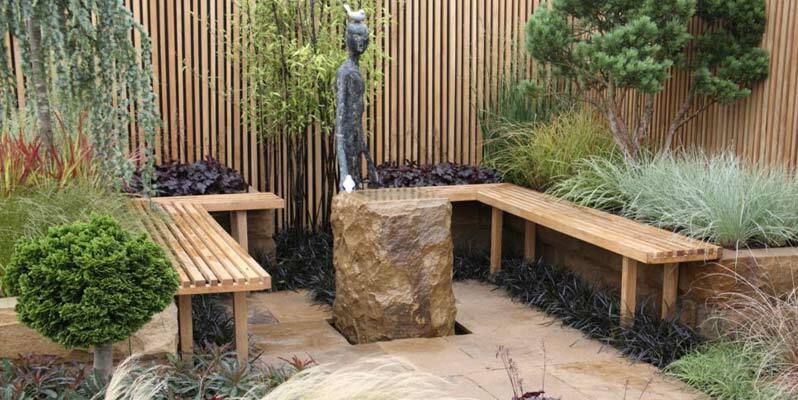 Pots make a great addition to another feature such as a water feature or a gazebo in the garden. They can be used along the swimming pool to add interest to an area that might otherwise look bare. Make sure they all match and are not too close to the edge. Most plants don’t like pool water. Use a garden pot for something different, such as a fish pond. Half barrels or even a deep pot would be suitable for this. If you are trying to sell your home, the most common property renovation advice would be to create street appeal. If your home looks attractive from the street, people who want to buy a home will always be interested in looking further. If it looks unattractive on the outside, it won’t matter how pristine the inside is, people won’t want to look at it. Here are some more tips for selling your home. 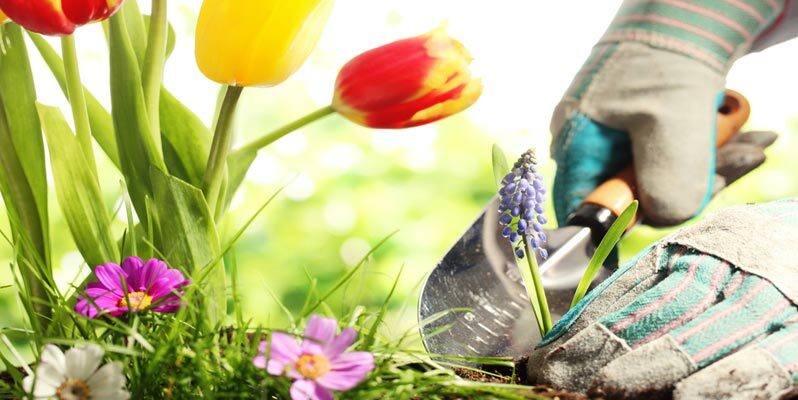 Most real estate agents would tell you to get all the yard cleaned up, with new flowers and shrubs in the garden. Keep the lawn mowed neatly. Scrub the outside of the walls if they look a bit mouldy or dingy and you can’t afford to paint it. This will give it a fresh look. Paint the outside window frames, the front door and the gate to enhance the look. In all the advice about healthy living, you won’t find many people talking about tossing the shoes and going barefoot, yet spending time without having your feet enclosed in shoes and socks is very beneficial in several ways. In fact, running without shoes is very healthy, even more so than walking without them. Here are 10 reasons to run or walk with bare feet. It’s cooler on a hot day to go without shoes, and it makes you more aware of the environment you are in because you can feel it through your feet. It makes your feet lighter, especially if you go jogging. 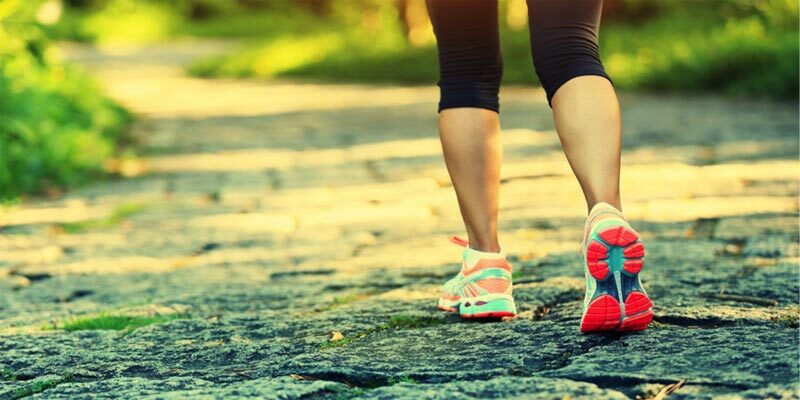 Shoes add weight to your stride which puts a lot of weight on your muscles and joints, damaging them. When you run in bare feet you naturally land on the front half of your foot. When you run in joggers or even expensive running shoes, your heel comes down first and the action is similar to having your heel hit with a hammer. It causes a lot of damage that even the most expensive shoes can’t stop. One thing that most beautiful homes have is some kind of fencing, whether it is a boundary fence, swimming pool fence or retaining walls in the garden, so essential on a sloping or steep block. Rather than having something ordinary, you could have a fence made from limestone blocks that would totally enhance your property and add value to it. Higher limestone walls would be ideal for both shade and privacy, offering a material that is long lasting, durable and beautiful as well. Lower walls made from the same material would be a great way to put an attractive edging around a garden or along the drive. There are two types of limestone blocks or bricks. Natural limestone that is cut from the quarry into the size and shape required. 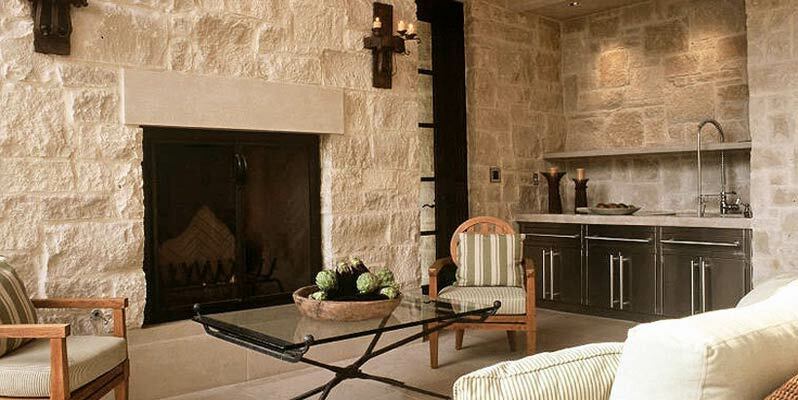 Reconstituted limestone that is made from crushed limestone with the addition of other materials such as concrete aggregate. 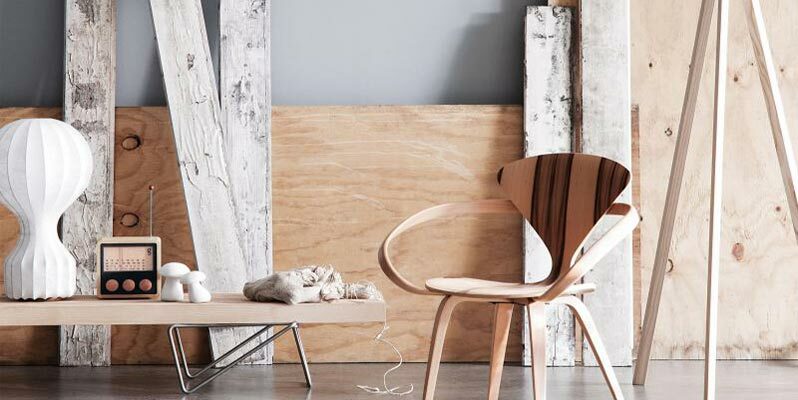 Both have aesthetic properties and are strong and stable for all kinds of use around the home. However, the latter choice is even more eco friendly in that it uses all the waste from broken limestone that would otherwise be unusable. So if a piece of the corner chips off the former block so it can’t be sold, both the chip and the block are crushed to form another kind of limestone block that is made even stronger with the addition of concrete. It was a DIY project in the back yard. He wanted to build a gazebo in an area of the yard that had been sectioned off and already contained a fishpond built on three levels to create a two – waterfall effect. There was no lawn in that area, but lovely green turf from Carabooda Lawn was something that was in his sights. After putting together a plan, well, a concept really, he went out and purchased all the timber required and then the roofing material which would be green Colorbond sheeting. Tape measure, power saw, level, hammer, nails, fasteners, cordless driver and a whole host of other material and tools were on the list. To complete the job, flywire sliders on the openings to keep out pesky mosquitoes as the sun went down, and flies, while the sun was up. This was not the biggest DIY project attempted. 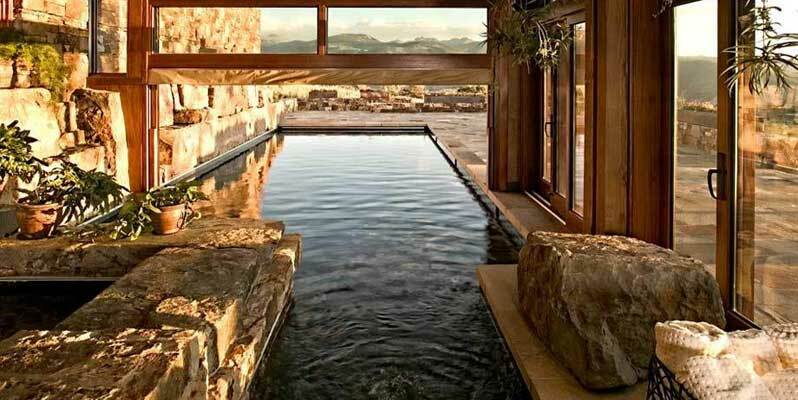 He had built an additional room onto an old house up in the Hills area and it included a toilet and a shower. So, in comparison, this was a minor engineering job but somehow more important. Why? Well, this one was on show to all the neighbours and friends and visitors that would be coming to parties and there’s nothing more than compliments on a job well done by friends to make a bloke’s chest puff out that little bit more! Sustainability practices form a basis for choice in many people’s lives these days. We choose to deal with companies that follow at least some sustainable practices in their business, so how can we choose a transport company in the same way? What does sustainability look like for such a company? 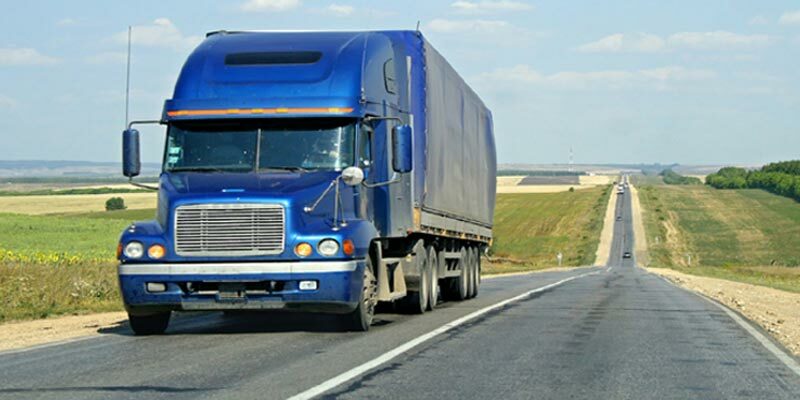 You can use a platform to choose a freight company where freight must be sent from A to B in our modern world and there are many different kinds of vehicles used in its transportation, from plane to ship and from van through to huge semi-trailer or BWs. Goods can even travel by car, motor bike or pushbike – think in terms of mail or newspapers for the last few. The thing is, how can we know which freight companies use sustainable practices in their business? it’s not that easy to tell, but here are a few hints.